The Riva2 500 Edge gas fire creates a chic, minimalist look whilst simultaneously bringing a focus to the beautiful flames and glowing ember bed of this highly efficient gas fire. 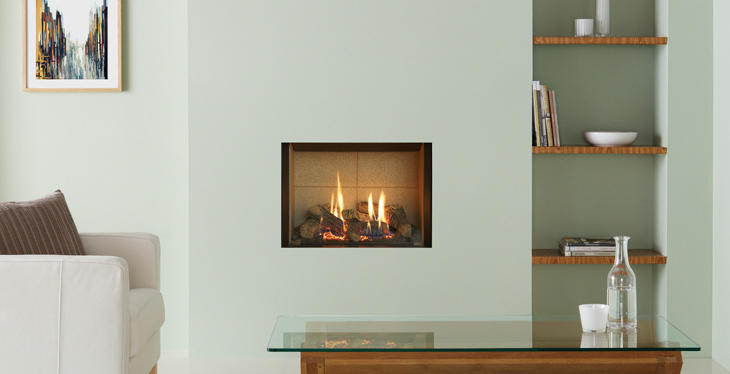 The simple, clean lines of this ‘hole in the wall’ fire can be further enhanced by creating a feature wall from Gazco’s carefully selected range of fireplace tile surround packages. This contemporary collection of porcelain and natural stone tiles are the perfect complement to the modern aesthetics of the Riva2 500 Edge gas fire and an ideal way to redress a standard 22” wide fireplace opening. Additionally, choose from one of three lining choices, each is designed to provide a different look for your fire and offers you more versatility to achieve the look that’s right for you.